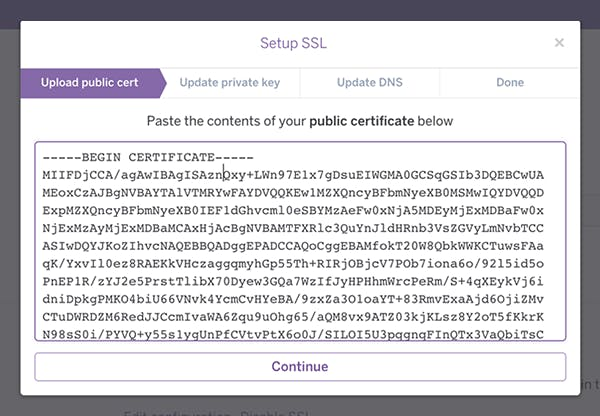 Starting today, Heroku has a new free SSL offering: Heroku SSL. So now instead of paying $20/month just to have an SSL certificate, you can have it for free! I’ve been testing this for a couple months and have been really happy with it. Heroku has instructions if you want to migrate from the old SSL:Endpoint. Soon you’ll be up and running with free certificates. They even have a new web interface for uploading certificates. To go fully free, use a free certificate from Let’s Encrypt and follow our guide to using Let’s Encrypt with a Rails app on Heroku.